“Gangnam 1970,” a South Korean noir action film, has sold over 1 million tickets over the course of five days. A significant tally considering it is rated R.
According to South Korean box office statistics, “Gangnam 1970” sold 90,5340 tickets on Jan. 26, bringing the total to 1,097,103. Now moviegoers are watching keenly how well it ends up performing at the box office. 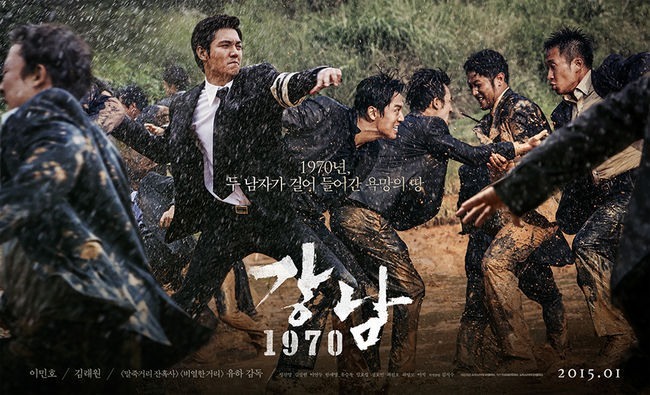 “Gangnam 1970” deals with the friendship and rivalry of two friends against the backdrop of the real estate development of Seoul Gangnam district, one of the fastest-growing neighborhood in the 1970s.